Do you ever ask yourself these questions and wonder how you can use your gifts to make an impact? Are you concerned about the problems facing our society but not sure how one person can make a difference? Do you want to focus on your Christian faith as a resource for making the world a better place? If you are in grade 10, 11 or 12 and answered “yes” to any of these questions, consider applying to Called to the Common Good: High School Youth Theology Institute. An online application can be found here. High school students currently in 10th, 11th or 12th grade. Newberry College in Newberry, South Carolina. This is a residential institute; students will live away from home throughout the eight-day program, which includes a three-day off-site retreat. The one-time enrollment fee covers all meals, lodging (including a three-day off-site retreat), instruction, activities and materials. You are responsible for travel expenses to and from Newberry College. Check with your home church for possible assistance covering your enrollment fee and other costs. Limited scholarships are available. Candidates for the program can be nominated by a mentor or apply directly. Ask your faith leader, pastor, church youth minister/director, school principal, teacher or guidance counselor to submit a nomination or agree to be a mentor. Mentors are welcome to submit multiple nominations for candidates they believe would benefit from participating in Called to the Common Good: High School Youth Theology Institute. Called to the Common Good offers a unique introduction to the college experience and the chance for you to actively address critical social problems such as food insecurity, mass violence and environmental destruction. The program also promotes diversity, teamwork and leadership. You will gain pre-professional experience from completing the program along with a deeper understanding of faith and the role that religious study can play in defining life goals. Residential summer programs similar to Called to the Common Good typically cost $3,500 per student. Thanks to a generous grant from Lilly Endowment, Inc., Newberry College is able to cover all but the $300 enrollment fee. Called to the Common Good will be held immediately after the school year ends, leaving the majority of the summer free for you to pursue employment or other opportunities. What is Called to the Common Good? Called to the Common Good is an eight-day residential youth theology institute that brings together a cohort of high school students who will work together with Newberry College professors and undergraduates to learn about how the Christian theological tradition can be a resource for looking at moral and ethical challenges facing the world. Any student who is currently in grade 10, 11 or 12 may apply or be nominated. Called to the Common Good will accept up to 24 candidates who demonstrate church and community involvement, thoughtful reflection on social issues, and interest in community service, religious study and leadership. When and where is the institute? The High School Youth Theology Institutue will be held June 9 through June 16, 2019, on the Newberry College campus in Newberry, South Carolina. This is a residential program. Students will live away from home for the duration of the eight-day program in a Newberry College residence hall for the on-campus portion and in housing arranged by the Institute for the off-site retreat. The enrollment fee is $300. This one-time fee covers five days of on-campus housing at Newberry College, a three-day off-site retreat, instruction, activities and materials, and all meals for the entire eight day program.  Attendees are responsible for travel expenses to and from Newberry College. Home congregations of accepted candidates are encouraged to assist with the enrollment fee and other costs. Limited scholarships available.